Kindling hope in the mind of those owning bars near highways in Kerala, Attorney General Mukul Rohatgi has told the Kerala government that the Supreme Court order banning liquor vends within 500 metres of state and national highways does not apply to bars and restaurants that serve alcohol. The AG’s view was reported by the Times of India. The AG's view could apply to other states as well as the court imposed deadline to shut down liquor vends from April 1 approaches amid a discussion over the effect on areas such as Gurgaon's high profile Cyber Hub with its bars that lie alongside the Delhi-Jaipur highway . State governments had strongly opposed the ban citing huge loss of revenue. Kerala government had sought the AG's opinion as it was facing a huge problem in the state as the deadline of March 31 to cancel all licences of liquor vends was fast approaching. Times of India had asked Rohatgi whether this opinion would not put at naught the effect of the SC ban as liquor vends would soon convert themselves into bars and pubs. Rohatgi said the judgment was clear in its application only to liquor vends. He said if bars and restaurants serving liquor were to be brought within the ambit of the SC judgment, the court would have said so in its decision. Moreover, it was not a valid argument to equate liquor vends with pubs and restaurants serving liquor Rohatgi said bars, pubs and restaurants were exempt from the ambit of the SC ban and added that the December 15 judgment categorically and specifically applied to liquor vends and not other establishments serving liquor to patrons. The SC on December 15 had directed state governments not to renew licences of liquor vends operating within 500 metres of state and national highways after April 1, holding them as a prime reason for fatalities caused by drunken driving. The order was passed by the SC on a PIL filed by "Arrive Safe" NGO which said nearly 1.42 lakh people died annually on roads in India because of accidents, drunken driving being a major contributor to this high toll of human lives. 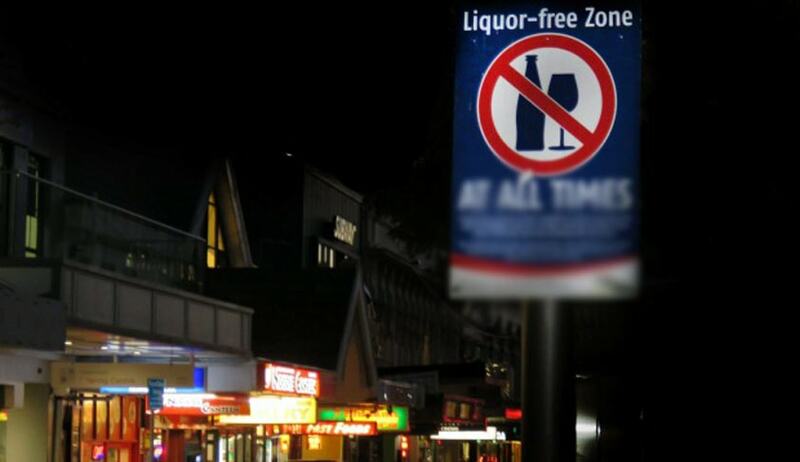 In the significant direction, Supreme Court ordered closure of all liqour shops along National and state highways stressing on the need to improve road safety and curb menace of drunken driving. The court had on Wednesday itself while reserving verdict said that it would order shutting of all liquor vends on national and state highways for the safety and security of commuters who get “distracted” after seeing the shops, causing accidents. “We would not like any vend on national highways, state highways, advertisements, or signage about the availability of liquor shops. We will direct all highway authorities to remove all sign boards. It should be absolutely free from any distraction or attractions. It should not be visible. Visibility is the first temptation,” Justice Thakur had said.